Russia’s biggest gas utility, Gazprom, was hit with an antitrust case by European Union regulators for “abusing” its dominant position and overcharging customers for gas supplies. The investigation against the Gazprom has been ongoing for 2 years. "We find that it (Gazprom) may have built artificial barriers preventing gas from flowing from certain Central Eastern European countries to others, hindering cross-border competition," European Competition Commissioner Margrethe Vestager said in a statement. Vestager said there is no political element to the case. Gazprom supplies about 30 percent of the natural gas used by the 28 countries of the EU. Gazprom is under investigation for market dominance in Estonia, Latvia, Lithuania, Poland, the Czech Republic, Slovakia, Hungary, and Bulgaria. The Russian gas major has individual contracts with these countries that allow company to charge each a different price for gas supplies. "Keeping national gas markets separate also allowed Gazprom to charge prices that we at this stage consider to be unfair," Vestager said. Gazprom’s unfair prices partly result from the firm’s formula that link gas prices to oil product prices and “have unduly favored Gazprom over its customers,” the EC said. With several clients, Gazprom has a ‘take-or-pay’ clause, which forces customers to pay for deliveries they may not necessarily need or use. Gazprom responded to the accusations, and said that it considers the claim against the company"unreasonable." “Gazprom considers the European Commission’s submitted claims baseless. At the same time, accepting the European Commission’s ‘Statement of Objections’ is just one phase of the anti-monopoly investigation, and does not mean that Gazprom is guilty of any violation of EU antitrust legislation,” the company said in a statement. "We are hoping that a compromise will be found. Such issues should definitely be resolved through negotiations, and we are relying on an impartial attitude towards Gazprom," said Vladimir Putin's press secretary Dmitry Peskov. 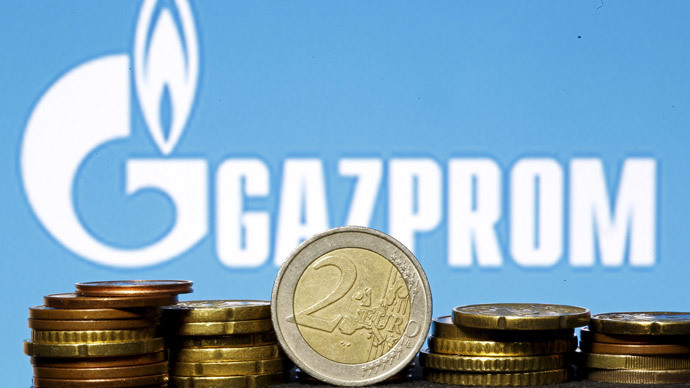 "As a shareholder in Gazprom, the Russian state will defend its interests." The gas supplier has 12 weeks to respond to the claim and call a hearing. EU antitrust fines cannot exceed 10 percent of global yearly revenue, which for Gazprom in 2013 was $164.62 billion, so the EU could hit the company with a more than $16 billion fine. To compare, Google's maximum fine is €6 billion. The EU has been discussing the creation of an ‘energy union’ which would force companies like Gazprom to sell gas supplies at a fixed rate to the entire 28-nation bloc. The European Union first launched an investigation into Gazprom in 2012, blaming Russia’s biggest gas producer for anti-competitive practices in Central and Eastern Europe. It said Gazprom was hindering the free flow of gas to member nations, preventing the diversification of gas supplies, and imposing unfair prices on customers by linking the price of gas to oil prices. The antitrust case against Gazprom comes just days after the commission launched a similar case against American search supremo Google for abusing its dominance in the European market. Gazprom shares on the Moscow Exchange reacted negatively to the news, dropping 2.54 percent at 1:07pm Moscow time, just 30 minutes after the antitrust probe was announced.